This healthy avocado green goddess dressing is made with Greek yogurt, lemon, anchovies and fresh herbs. 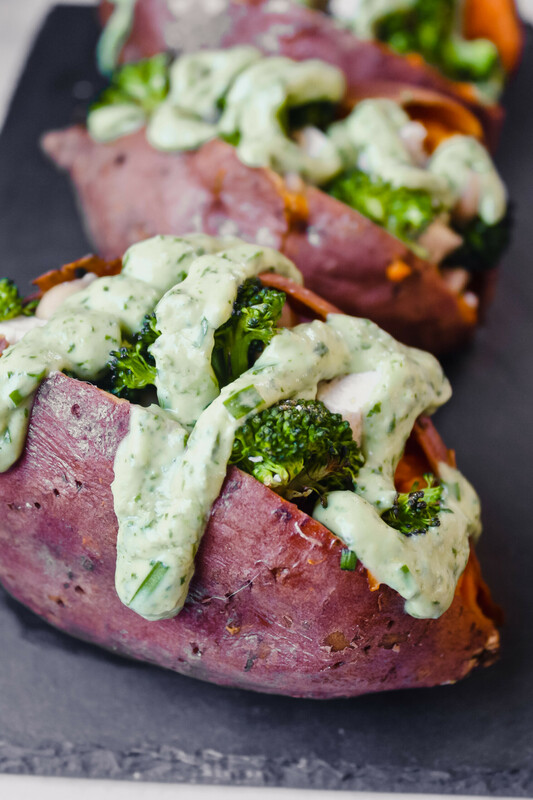 This healthier version is just as delicious, if not more, than classic green goddess dressing. 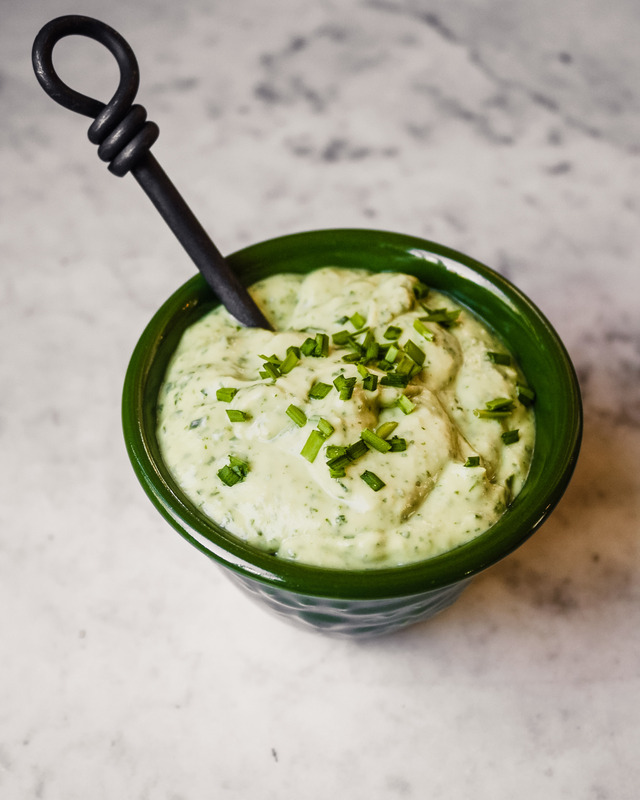 How long does avocado green goddess dressing last? When stored in an airtight container in the refrigerator, homemade green goddess dressing will last up to 4 days. Freezing avocado green goddess dressing is not recommended. What do you serve avocado green goddess dressing on? Blend all ingredients, except chives, in a food processor or high-powered blender until smooth, about 2 minutes, scraping down sides of bowl as needed. Transfer dressing to a bowl and stir in chives; season with salt and pepper. Store dressing in an airtight container in the refrigerator for up to 3 days. How do you store green goddess dressing and how long will it last? 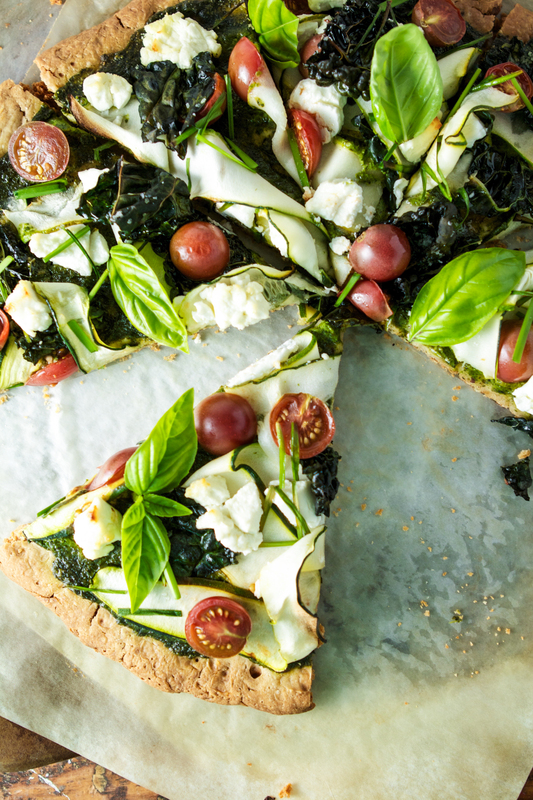 Check out our favorite green goddess pizza! That pizza is absolutely beautiful! There are so many great uses for this dressing, I love making it on Sunday to have during the week!! Thank you!